The success of your online business depends to a great extent on the rankings your website enjoys on the virtual world. What is even more important (and to some extent, worrisome) is that there are quite a few number of factors that influence the rankings of websites, which are always changing. So, if it is not possible to stay abreast with every algorithm of Google that is changing from time to time, you can at least enhance the chances of getting a good rank of your website by employing these factors in a judicious manner. In this write up, we will find out what these factors are and their importance. In the paragraphs that follow, let us understand how each of these factors influences the rankings. Remember, these factors might change from time to time or at least increase/decrease in their order of importance at any given point of time. Although, there are many factors that impact the same, here we will discuss about the ones that are considered to be more important than the others in this context. You might think that this is not new. Indeed, it isn’t. Content always was and will always be one of the most important ranking factors in SEO at all times. As it is said “Content is King”, most of the SEO experts (regardless of whether they are amateurs or veteran) believe and swear by this factor. However, over the years, the focus has been changing from one aspect to another. In other words, in the earlier days, if keywords were a priority, over the years, this concept has changed and these days, the need for “relevant and natural” content is pronounced. Several studies have proved the same that search engines rank websites not by the usage of keywords or their density and frequency but by relevance. Having relevant content is not just enough. By all means, this content has to be updated on a regular basis. Google prefers fresh, updated, informative, and relevant content. It is a well known fact that people tend to access websites more on their handheld devices as compared to their desktops. As such, Google, which has always emphasized on user-experience, understands well that it is important to have a mobile version of the websites much more than a desktop version. As such, it introduced the so called “mobile-first indexing” concept. It basically means that Google will first index (crawl) the mobile version of the websites prior to indexing the desktop versions. Studies have time and again proved that the websites that rank in the top 50 are all mobile friendly versions (domains) and that offer mobile friendly solutions for clients. In fact, this is one of the main trends in 2017 that has taken the SEO market by storm. To this effect, websites that lacked the infrastructure or did not meet the criterion are doing so promptly. It goes without saying that back links have continued and will continue to remain as one of the main factors that will influence the ranking of websites. Having a number of back links is definitely not enough. You will be required to have back links from varied or diverse domains and these domains will necessarily have to be considered as among the so called “authoritative” domains. 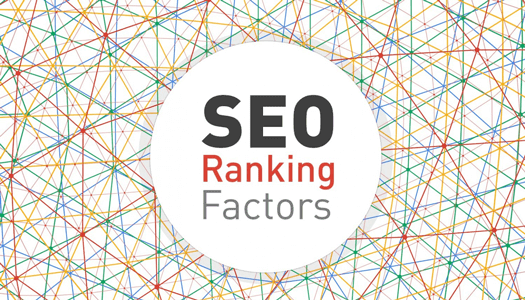 Essentially, 3 factors that will help your website to rank in this category include, namely. SEO or Search Engine Optimization is a vast subject. The more you learn, the less it is. As such, the winners are the ones that strive hard to stand out from the crowd by employing the best ethical procedures that SEO can offer to the winner!